Preparing Tomorrow’s Public Safety Leaders Today! 2019 Schedule coming soon. Email us as to when your tests are scheduled. If you have to take an “Assessment Center” to promote, you need this class! 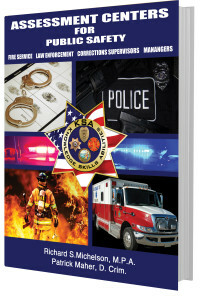 Try to find another course that conducts “hands on” training for candidates for police, fire or corrections promotionals. Most are classroom presentations. Note: Space in the classes are extremely limited. Also, we only do a few classes a year, so take advantage of this unique opportunity and register today! Group rates are available for agencies, POA’s or simply small “study groups.” Early Bird pricing available for regular courses! For those who must participate in either an “assessment center,” role play scenarios, oral presentations, structured interview panels, in-baskets, written components, accomplishment surveys or practical exercises… You need this class! Ready for the “Hot Seat? !” You won’t find another course like this. Our unique “hands-on” approach lets you experience common scenarios used in most assessment centers. It is not just a lecture or seminar. Since 1989,we are one of the few training programs in the US that actually holds workshops just for candidates. 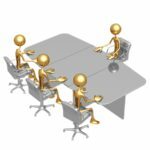 We cover each of the major exercises: Subordinate Counseling, Presentations, In-Basket and Leaderless Groups (Meeting management) We also include mock interviews on the first day. Email us about when your testing process is and to see our proposed schedule for 2018. Email: assessmentcenterinfo@gmail.com. Can’t get to a class? Get the book! Available on Amazon.com & Barnes & Noble! Knowledge, Skills and Abilities, Ltd., (est. 1989) is a unique training firm committed to helping candidates reach their goals by understanding the dynamic “Link” between “dimensions” and Job Performance! While we do help candidates prepare for promotions, our real focus is to help you develop your skills in order to be a great supervisor and manager! 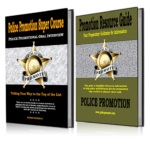 If you don’t know what the “dimensions” are, and what the assessors are looking for, how can you possibly expect to do well on a promotional exam? If you don’t promote, you don’t get the opportunity to develop and grow as a supervisor or manager. 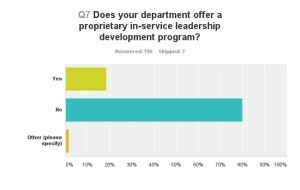 More importantly, candidates often miss the reasons why they want to promote and fail to see the connection to their commitment to the organization. More importantly, it’s not about the tests… it’s about whether or not you are ready to do the JOB! The steps to first line supervision or to management can be challenging. The key to success is not in the preparation for a test or promotional process, but in developing the skills required in that new role as a supervisor or manager. Our workshops and texts help candidates see that connection and how they can practice and demonstrate those transferable skills on a daily basis, prior to any promotional process. Our unique ability to zero in on the job dimensions or KSA’s (Knowledge, Skills and Abilities) and help you identify your own transferable skills, with accurate and sometimes direct but constructive feedback on areas to improve, has helped many candidates reach their goals. Our success is only the successes of our candidates who go on to become great supervisors and leaders! Since 1990, KSA Ltd., has helped hundreds of candidates nationally to “demystify” the promotional process; from interviews, resumes and assessment centers! Just check out our Successes! tab to see someone you may know who was promoted after attending our course. SAMPLE JOB DESCRIPTIONS: Check out some of the job descriptions that are posted. Keep in mind that each job description is a clue to just what it is that, a: raters are looking for and b: skill set that you already should be developing well before any promotional exam! There is a “self-assessment” ranking box in most of these, so you can see areas where you may need to improve some skills. Note: Classes may be requested by agency/POA/DSA or group. Email us if you’re interested in a class. Classes are based on demand or by arrangement. 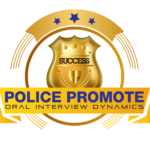 IF you have to compete in any oral interviews/structured interview panels, “Police Promote,” with Andy Borrello will help you hit the mark!